Neurofeedback is a scientifically proven form of brainwave feedback that trains the child's brain to overcome slow brainwave activity, and increase and maintain its speed permanently. Neurofeedback is quick, noninvasive and cost effective. In fact, 80 percent of the time, neurofeedback is effective without any of the side effects associated with drugs commonly used to such childhood disorders as autism, ADHD, dyslexia, sleep disorders, and emotional problems. and the rationale for treating the disorder with brainwave training. 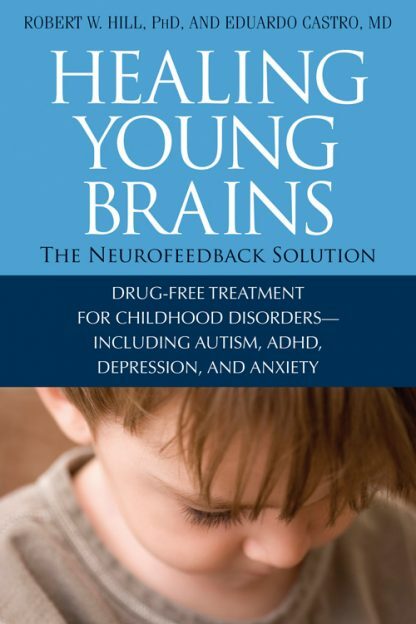 Healing Young Brains is parents" guide to all they need to know about treating their children with neurofeedback as an alternative to drugs. Eduardo Castro, MD, is the medical director of the Mount Rogers Clinic in Troutdale, Virginia, one of the leading alternative and complementary medical clinics in the United States. Robert W. Hill, PhD, founded the Oaks Psychological Service in Abingdon, Virginia. He specialized in health psychology and behavioral medicine.